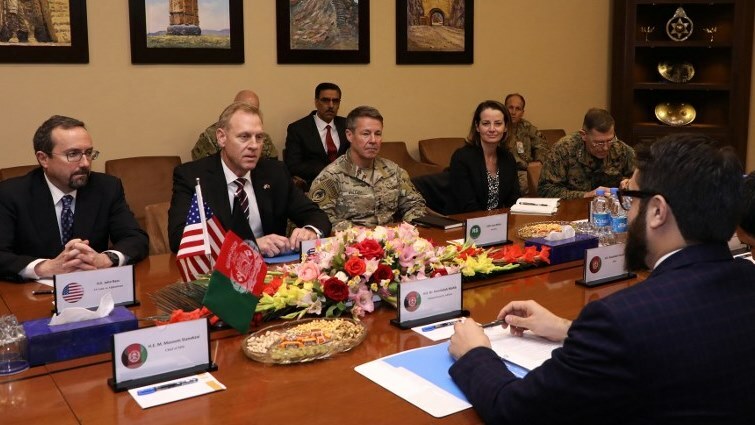 Acting Pentagon chief Patrick Shanahan meets Afghan president in Kabul - SABC News - Breaking news, special reports, world, business, sport coverage of all South African current events. Africa's news leader. Acting Pentagon chief Patrick Shanahan arrived in Afghanistan on an unannounced visit February 11 as the United States leads a push for peace talks with the Taliban. This entry was posted on 11 Feb 2019,07:56PM at 7:56 PM and is filed under World, Homepage Latest Stories Slider. You can follow any responses to this entry through the RSS 2.0 feed. Both comments and pings are currently closed.